...with Cake. And who wouldn't want to do that. I love cake. Any sort of cake. The more cake the better really. Just as well the cakes on this card are small and non edible. I love a big bold getting on a card, and not because I am lazy as you don't need to add much else. But sometimes a bold saying really gets the message across in a fun way. 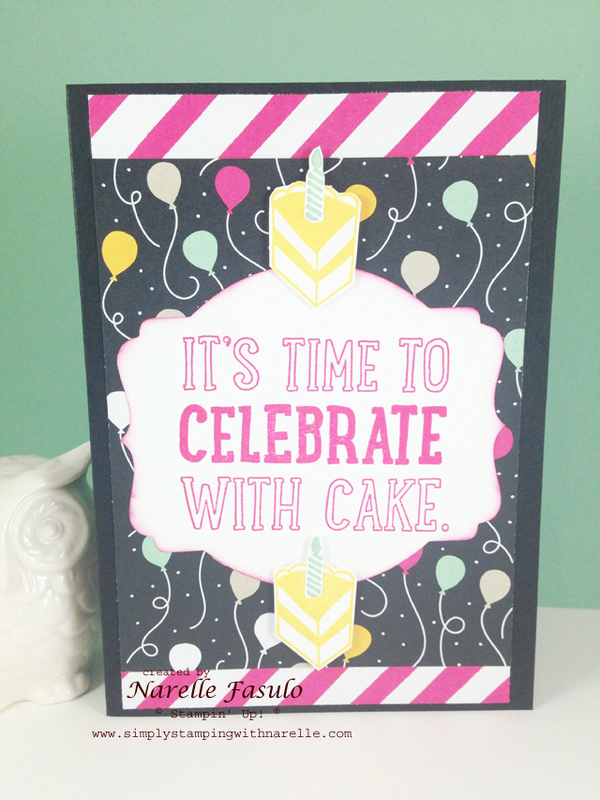 And this stamp set, Party With Cake, is such a fun set. Don't believe me, check it out below. Imagine the fun cards you could make with this set. 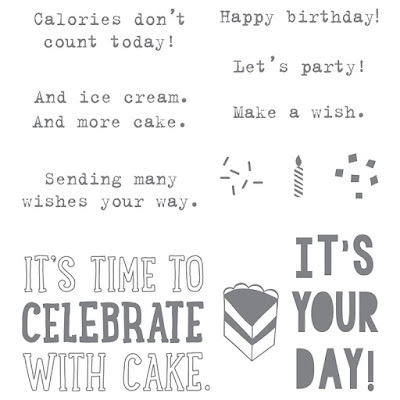 I love the typewriter font on the smaller greetings too, so cool. Why not tee it up with the Party Pop-Up Thinlits, the It's My Party Designer Series Paper Stack, the Party Punch Pack and the Confetti Embossing Folder. You would be totally set for the upcoming birthdays in your life.